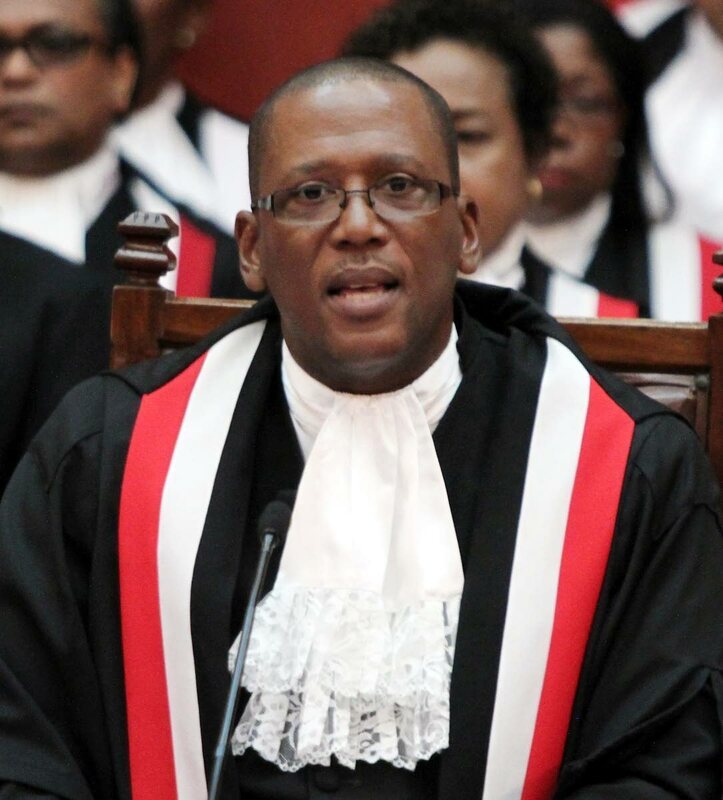 JUDGE-alone trials will not solve the problem of the backlog of criminal cases and no one is pretending it will, Chief Justice Ivor Archie said at the open lecture and panel discussion on the issue, on Tuesday. With over 700 people awaiting trial for capital cases, Archie admitted there was a crisis in the system, especially since it was not unusual for pre-trial detention to last a decade and TT having the eleventh highest murder rate per capita. He said judge-alone trials was only one of a range of tools to clear the log jam. “I was looking today at the statistics which tell me as of 2018 we have the 11th highest per capita murder rate in the world. “As of this year, we have over 700 people awaiting trial for murder alone. And, furthermore, those of us involved in the criminal justice system will know that there exist situations where persons have experienced pre-trial detention for up to ten years. We have a crisis,” Archie said. He continued, “I will not assume that we have, or ever will, convince everyone that this is a good option. However, I am happy that we are all here today, whether we agree or not, to have an open discussion on the issue. “It is important for us to talk about it, and to realise and learn how other jurisdictions which grapple with similar issues such as ours have bench trials (judge-alone trials) as a feature of their criminal justice system. “And while our methods may have served us in the past, it is not the only way, and it can be tweaked to operate a lot more efficiently. And I say this to bench trials, it is not something new in this district, we are not re-inventing the wheel. Guest speaker at the discussion, Sir Anthony Hart, a retired judge in Northern Ireland where a single judge tried certain cases, particularly crimes connected to terrorism, said when judge-alone trials were introduced (in Northern Ireland), some thought that such trials would vary the standards of justice. “Yet, we have maintained high standards and it has not resulted in any devolution in the administration of justice,’ Hart said. He also explained to a gathering of judges, lawyers and law students at the Convocation Hall of the Hall of Justice in Port of Spain with the way judge-alone trials are conducted there. Agreeing that judge-alone trials was not the panacea for the problems plaguing the criminal justice system was Director of Public Prosecutions Roger Gaspard, SC, who said his office had no objection to the still-to-be-proclaimed Miscellaneous Provisions (Trial by Judge Alone) Act, 2017, which would introduce such trials locally. But, he said he preferred there to be additional measures and safeguards in it. Gaspard wants judges to give reasons not only for acquittal, but also convictions. Aside from the option of judge-alone trials, Gaspard said robust emphasis must be placed on case management, witness protection, reliance of scientific evidence, particularly DNA evidence. According to Gaspard, for almost a decade, there has been talk of establishing a DNA bank, but that was yet to materialise, so too the setting up of a public defenders’ office and electronic monitoring. Gaspard reminded that jury trials allowed for the common-man to contribute to the criminal justice system and democractised and legitimised it. He said there was no need to abolish the jury system, instead insisting that reform of the present system was necessary for fair trials. In his contribution, Law Association president Douglas Mendes, SC, said he canvassed the views of his membership and their responses to the issue of judge-alone trials were not encouraging with there being a preference for jury trials. However, he said there was support for certain type of cases – complex fraud cases and sexual offences, to be tried by a single judge. Among those making contributions during the panel discussion were prosecutors who raised the issue of judges’ conduct, jury intimidation, and possible intimidation of judges. Gaspard, one of the panelist, suggested that the system be designed to inoculate against this. Senior criminal attorney Ravi Rajcoomar, in his contribution from the floor, said there must be proper case management, but advocated for keeping the public engaged in the criminal justice system. Archie, like many of the other panelists, which also included Justice Maria Wilson and Justice Marlene Carter of the Cayman Islands, pointed out that judge-alone trials was an option open to an accused person and not mandatory as in some countries. Carter, who has presided over judge-alone trials in the Cayman Islands, said it has become “part and parcel” of the system there, accounting for 35 per cent of cases annually. Sharing her experience, she said the TT legislation had more statutory safeguards in it which would protect not only the court but also an accused person. Carter said, in her experience, judge-alone trials could increase the efficiency of the courts, but it must be done with robust case management systems to ensure there was maximum efficiency. Tuesday’s lecture was hosted by the Judicial Education Institute which is chaired by Justice Gillian Lucky who said there was expected to be a training session with judicial officers yesterday on how judge-alone trials were to be conducted locally. Reply to "CJ admits to crisis"